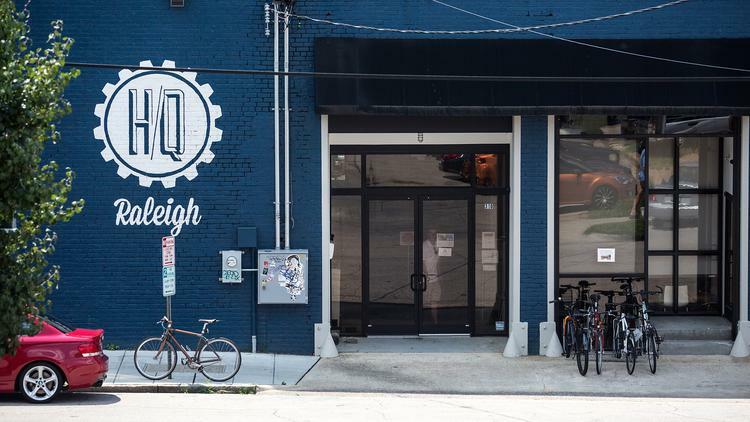 This article was written by Lauren K. Ohnesorge, staff writer for the Triangle Business Journal, and originally published by the TBJ August 14, 2015. Photo credit to John West. Armed with $100, a group of newly minted MBA students are tackling their first entrepreneurial test: to create real products and make real revenue. It’s the first of what N.C. State University Entrepreneurship Clinic director Lewis Sheats hopes is an annual contest among his students, dubbed the Jenkins MBA Marketplace, which is happening Friday at HQ Raleigh. The premise is pretty simple. Using a $100 Visa gift card and up to $100 in their own personal assets, the students have to create and execute on a product, which will be sold to fellow entrepreneurs from 3 p.m. to 5 p.m. during the event. The entrepreneurs can use N.C. State resources, including 3D printers, but they’ve only had two weeks to develop their business plans. It’s about teaching them to recognize leads and opportunities within a particular market, explains Sheats. And the plans are varied. Groups reached out to local farmers for produce, to a creamery for an ice cream product, to bars for beer bottles they could craft into merchandise, and even to an animal shelter. “They’re going to bring puppies in and sell time to play with the puppies,” Sheats says. And, whether their ideas are successful or not, it’s a learning experience this time around. Sheats hopes the young entrepreneurs leave recognizing the difference between an idea and an opportunity. “Just because you have a good idea doesn’t mean anyone will buy it,” he says. The stakes here are far less than what the entrepreneurs will face in the market place when they graduate – a world where exits are few and failures are many as the Triangle competes with other regions to build a solid startup reputation. It’s challenges like this that Sheats hopes will help his graduates develop the critical thinking skills to be on the winning end of the real-life gamble in a few years. And those attendees will include entrepreneurs at HQ Raleigh, an N.C. State partner. Poole College of Management has its largest group of MBA students this year, with 50 in the full-time Jenkins MBA program, 64 in the professional part-time cohort and 81 professional online students.